Home - CentroBolognaClubs.com - football is everything. CentroBolognaClubs.com - football is everything. It's been a rocky road for the Rossoblù. We've had some bad time and some good times, but the glory will return. 1980's: In the beginning of the 1980's, in the 1981-1982 season, the club started what would be an extremely bad run of form, and started to dramatically drop down the divisions of Italian football. This terrible patch of form first saw the once Serie A club, get relegated to the Serie B, which is the second league of Italian football. It didn't end there for Bologna, as they were relegated once again, but this time from the Serie B, dropping to the Serie C, which is the third league of Italian football! Yikes. They promoted back up to Serie B but had troubles regaining their former spot of being in the Serie A. Thankfully, for the team and their supporters, they won promotion and secured their Serie A spot, but this wasn't until the 1988-1989 season. 1990's: The 1990's started off almost identical to the 80's for Bologna FC, as they were once again relegated from the Serie A in the 1990-1991 season, and had another disastrous drop, where they once again dropped to the third division of Italian football in the 1992 -1993 season. The club had to pick itself up once again and rebuild, and it did just that and returned back up to the Serie A in the 1995 -1996 season. 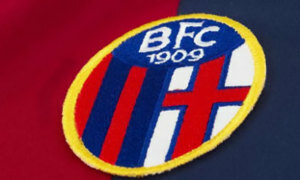 The 1997-1998 was a very successful year for the Bologna F.C. They won the UEFA Intertoto Cup and got to compete in the UEFA Cup. The 2000's: The beginning of the 2000's were fairly good for the club, as they stayed in the Serie A, but in the 2004-2005 campaign, Bologna, again, fell into trouble and were relegated from the Serie A. The years that followed in the Serie B, were ones of chaos. The managers of the club were not happy with the team's performance in the 2005-2006 season in the Serie B, and sacked the coach, Renzo Ulivieri. The new coach, however, didn't improve their results, and they ended up rehiring their original coach.The year after that, still in the Serie B, the results were still poor and their coach got the sack, again! The 2007-2008 season they regained promotion to the Serie A. The start to their 2008-2009 season back in the series A was terrible, even though they had won their first game, they lost the next 8! Not exactly the best way to start a new season. Understandably their coach got the sack, and they appointed a new coach, however the new coach ended up getting replaced a little under 6 months later by Giuseppe Papadopulo. Bologna survived in the Serie A, only just, as they had to win their final game. 2010 - Present: At the end of the year 2010, Bologna F.C. had a new owner of the club, as the former owner was leading the club into bankruptcy, however their newly appointed owner didn't last long after encountering problems of his own. They maintained their Serie A status until the 2013-2014 season, where, once again, they were relegated to the Serie B.
Bologna F.C. regained their Serie A status for the start of the current 2015-16 season, losing their fist game to Lazio 2-1. They are currently being coached by Delio Rossi, and the owners of the club are Joey Saputo and Joe Tacopina. Glory will return. How Do You Improve Your Skills? Training, Training & Training! I've played football for my own entertainment ever since I was a kid. I still play now, just more slowly and with slightly more painful knees. Despite that I've got a lot better over the last couple of years. Partly because I have put in more training time, but also because I think our practice time has greatly improved due to a new coach. You can't get better at football just because someone in charge shouts louder at you. Funny that. A lot of coaches seem to think different however. The key to improving your football skills is to get fitter, and use drills over and over again to make things stick and just become second nature. If you have to think for a few seconds "what am I going to do with it" every time the ball gets passed to you, then you're going to get tackled before you even decide! That's where drills come in, you know faster what to do, and how best to do it. There's lots of different ways to approach it, but one of the best ways is to get stuck into drills. Don't cringe - they don't need to be boring. I know drills won't turn you into Fernando Torres overnight, but it gives you some direction in how to get better in a more planned way. This approach has certainly worked for our little amateur team anyway - we're scoring and winning a lot more than we used to. It doesn't have to be dull either. Training should be fun - if it isn't I think that's the fault of the coach. So if you dread going to practice, then I recommend a quiet word with the coach about how they could make training sessions a bit more fun for everyone (tread carefully though, you're just the player, they are the coach..!). Anyway, I hope that little insight helps you improve your soccer skills a little, and possibly even makes the game a bit more fun for you too. Let me know how you get on?